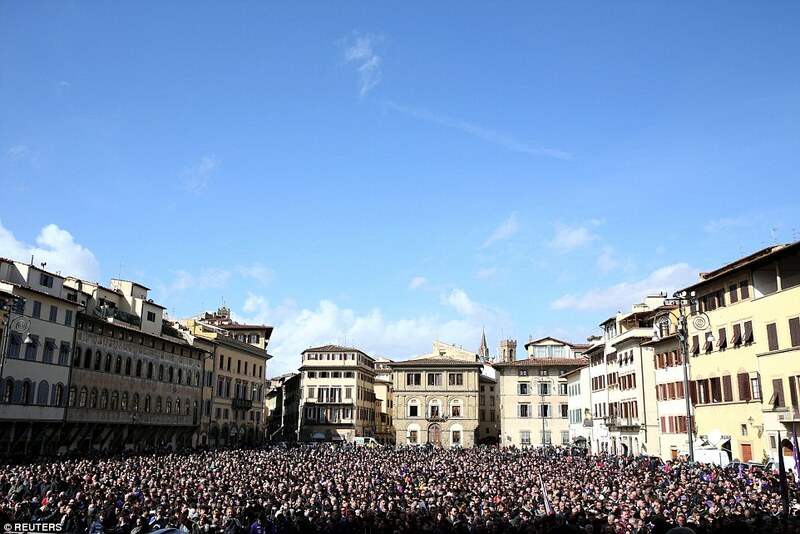 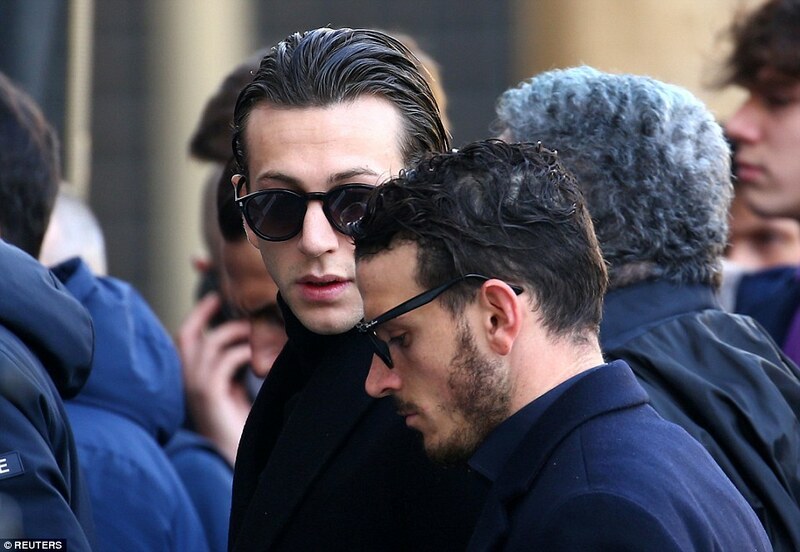 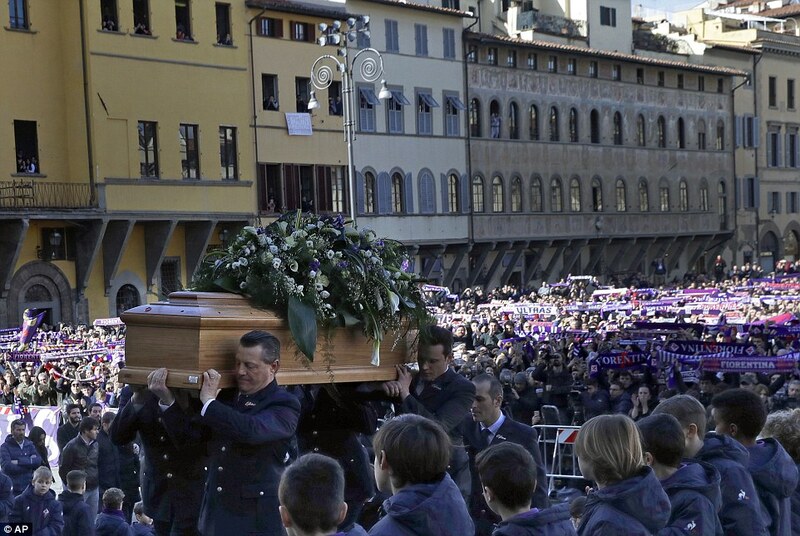 Stars from across Italian football and beyond are in Florence for the funeral of Davide Astori, the Fiorentina captain who was found dead in his hotel room on Sunday. 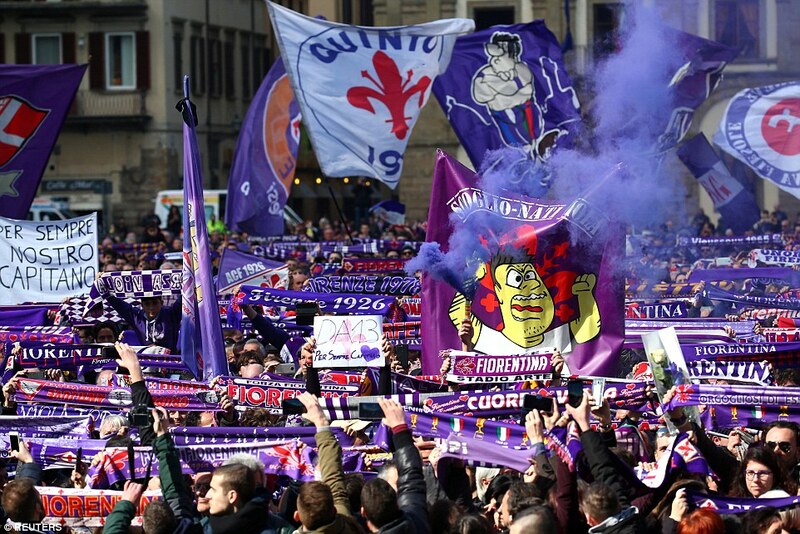 The 31-year-old was discovered hours before his team were scheduled to play Udinese in a Serie A match. 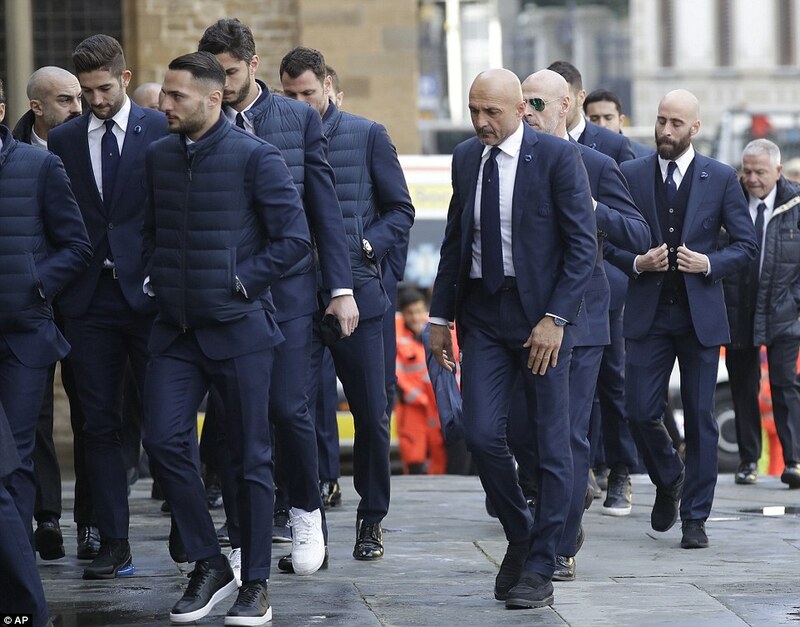 His team-mates were pictured arriving at the Santa Croce church in Florence ahead of the service, which began at 10am in Italy, while thousands of fans lined the streets and filled one of the main squares, some arriving as early as three hours before the funeral started. 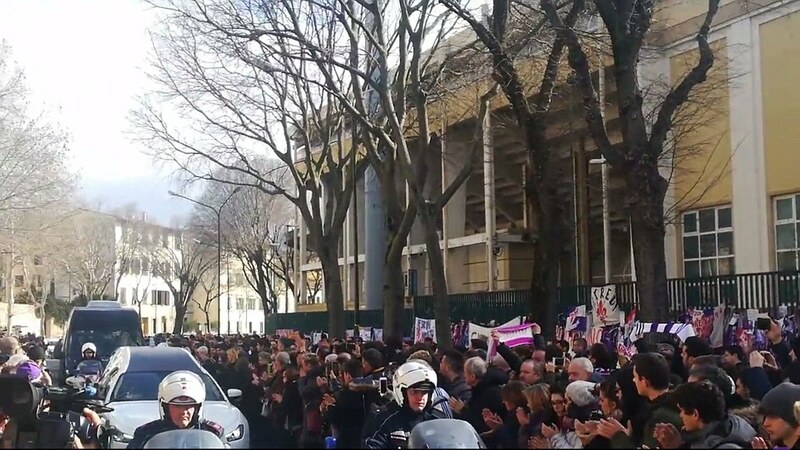 They applauded loudly as Astori’s coffin was driven past Fiorentina’s Artemio Franchi stadium. 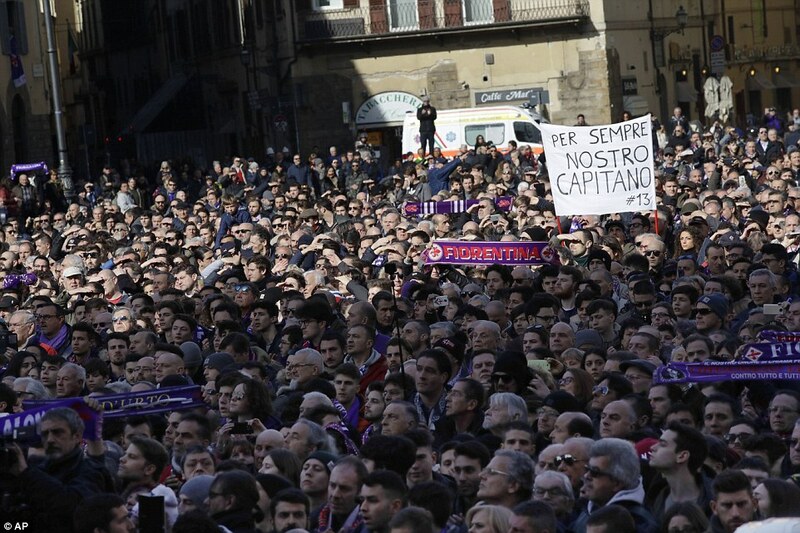 There were shouts of his name and ‘grande capitano’ (great captain), while a banner held up read: ‘Per sempre nostro capitano (forever our captain)’. 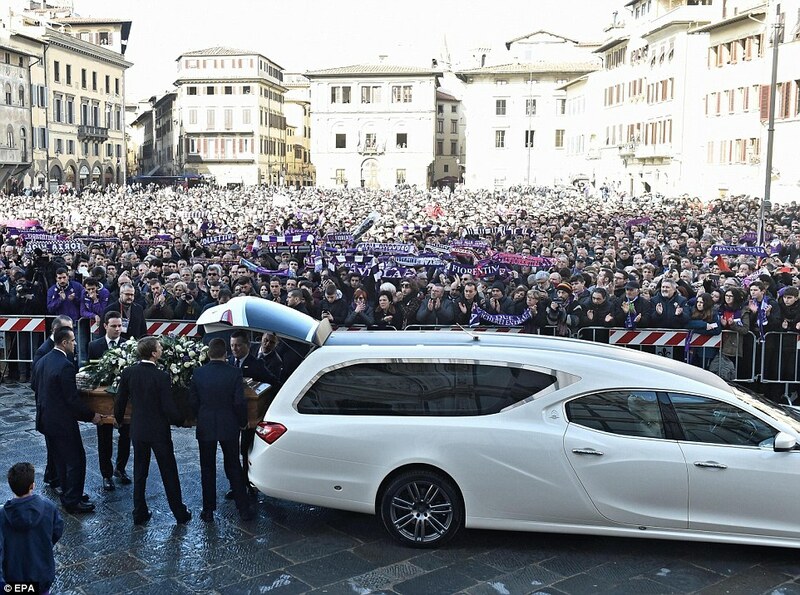 Astori, who played for Italy 14 times, leaves behind his long-term partner, Francesca Fioretti, and their two-year-old daughter. 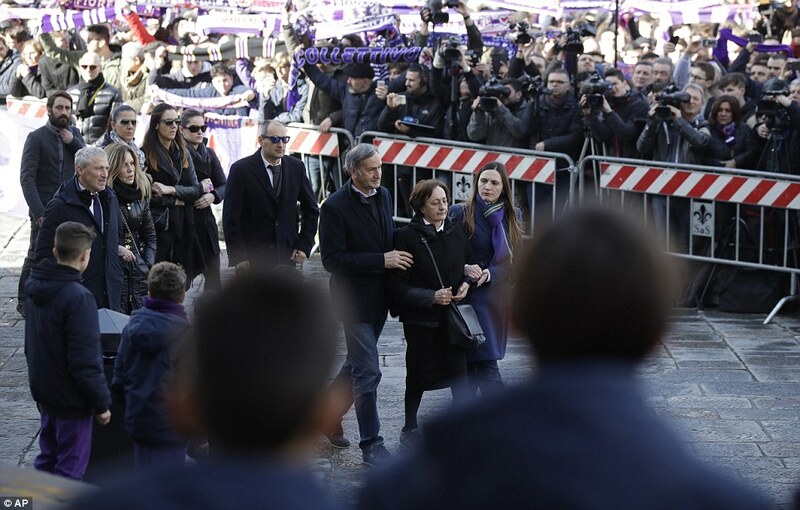 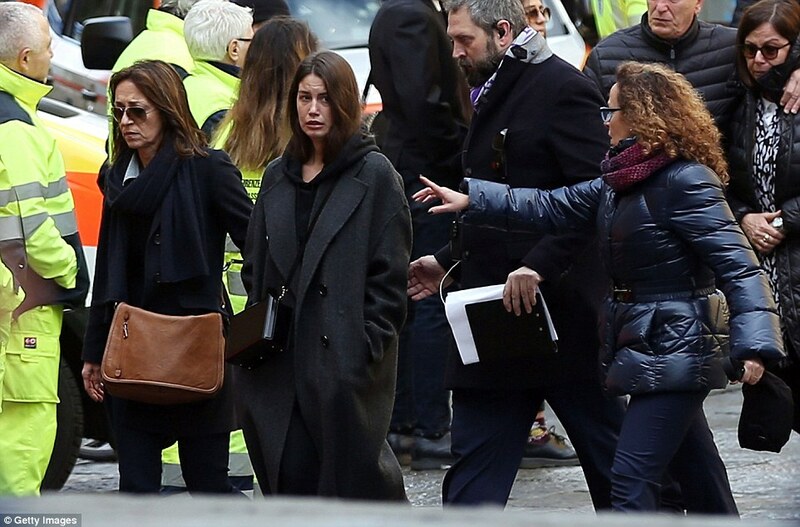 A tearful Fioretti was seen making her way into the church on Thursday morning with Astori’s family, including their daughter, Vittoria. 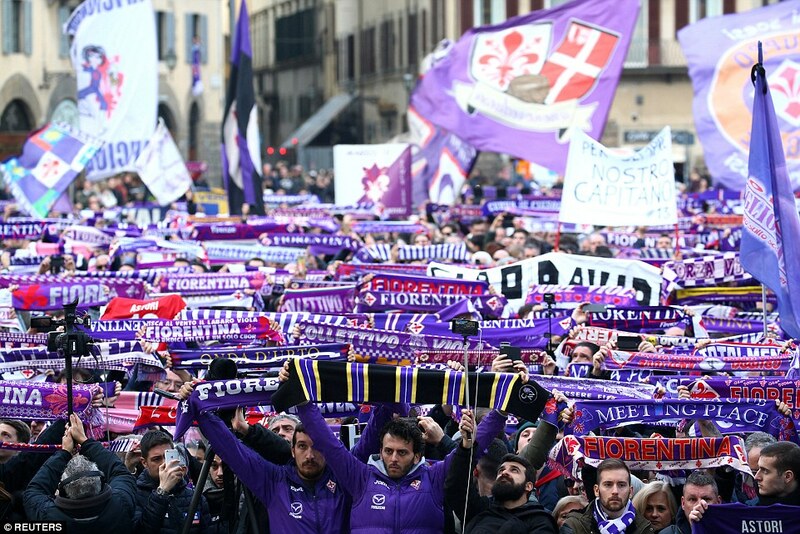 The Fiorentina players were met by applause when they arrived on foot, led by midfielder Milan Badelj. 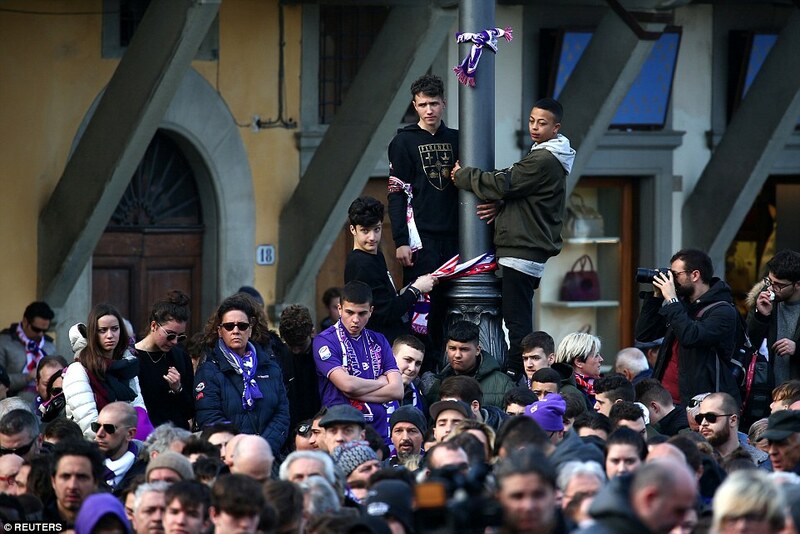 ‘You are the brother or the son that everyone would have wanted to have,’ Badelj said. 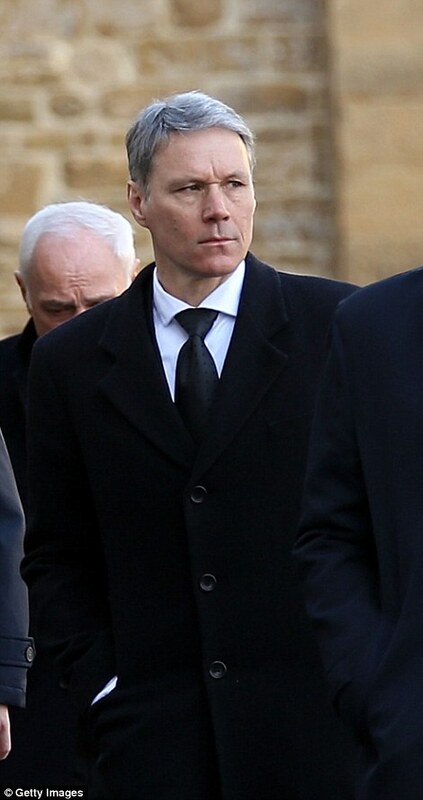 ‘Your parents didn’t make any mistake with you, not even the tiniest bit. 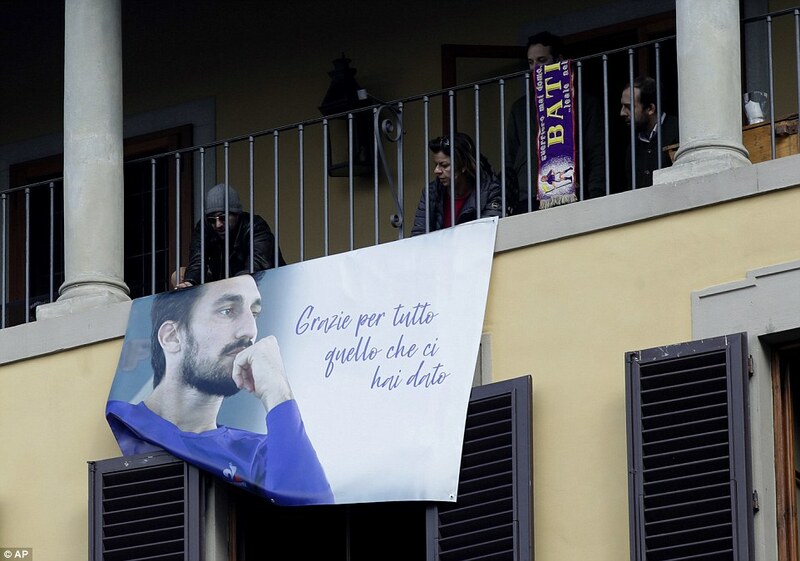 You’re not like others, you are football, the real one, the pure one of children. 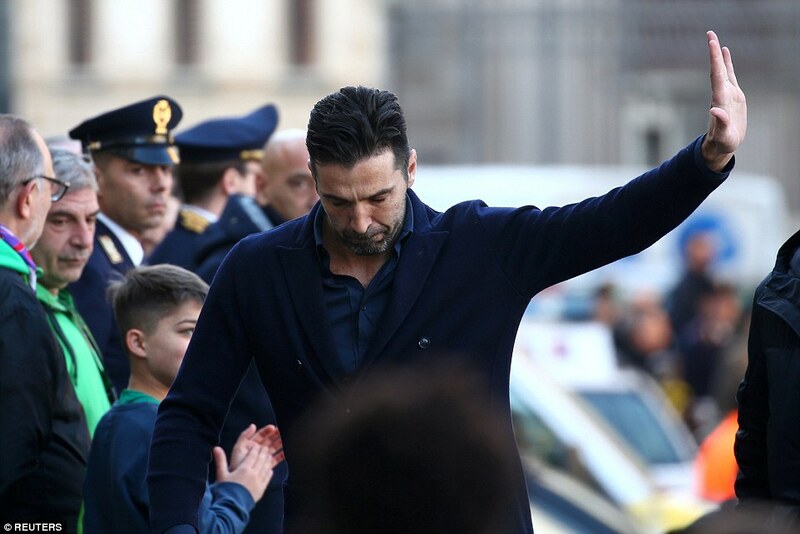 Gianluigi Buffon and his Juventus team flew back from London especially for the service following the Champions League victory over Tottenham on Wednesday night. 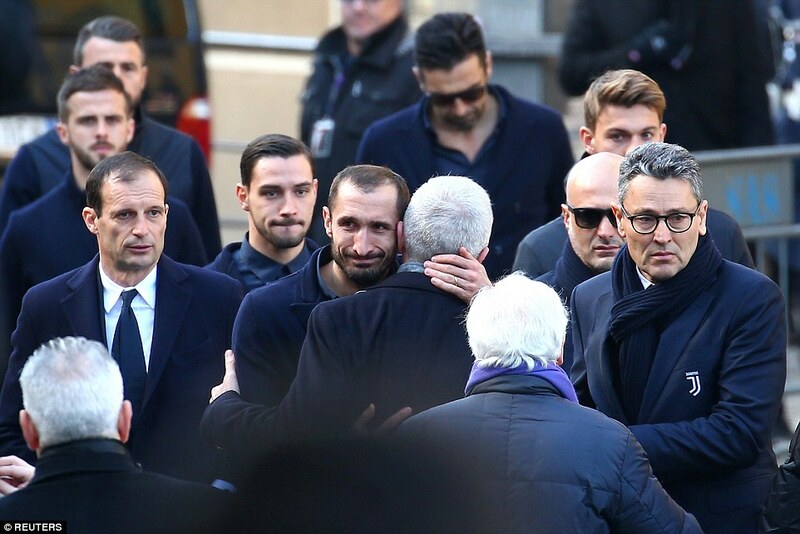 Defender Giorgio Chiellini was visibly emotional as he made his way into church. 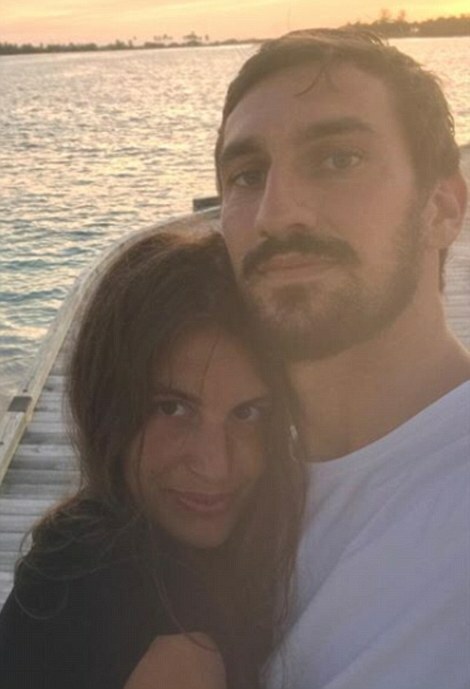 The 33-year-old, who played at Wembley for Juve on Wednesday night, admitted afterwards that he had ‘cried many times’ since learning of Astori’s passing. 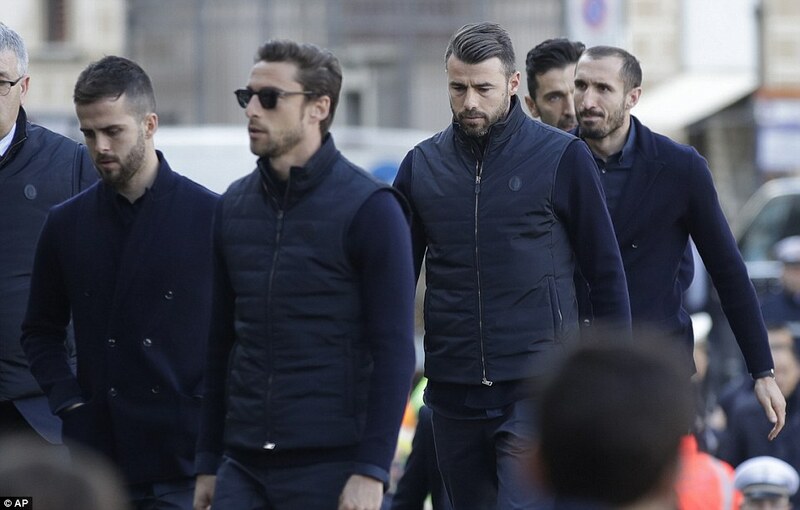 ‘Tomorrow we go to give the last ‘Ciao’ together with out team-mates,’ Chiellini said. 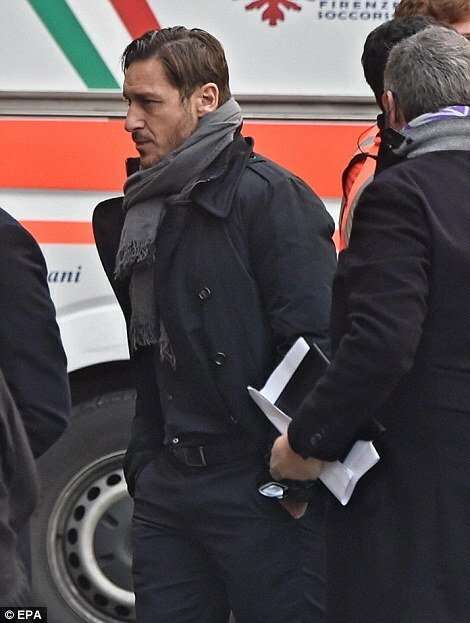 Liverpool forward Mohamed Salah, a team-mate of Astori at Roma, was also there, according to reports in Italy. 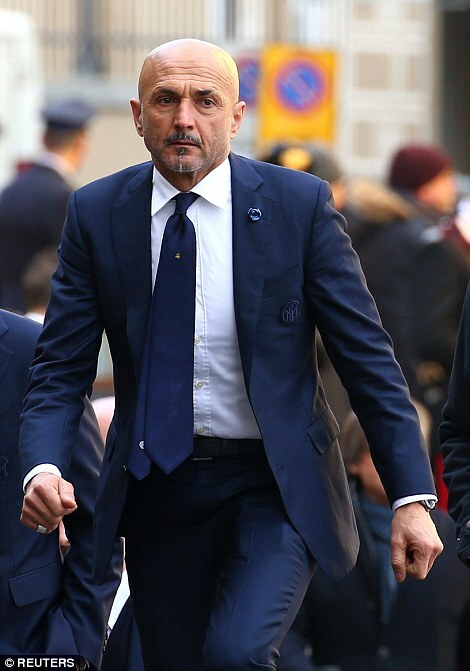 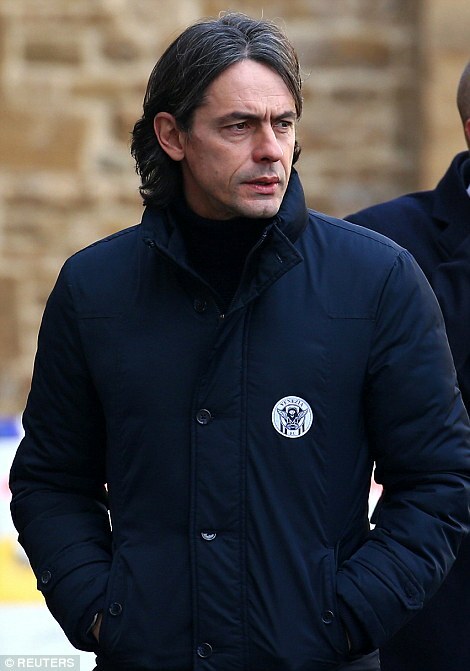 Venezia coach Filippo Inzaghi – best known in Italian football for his time as a player at AC Milan – was seen arriving while Inter Milan manager Luciano Spalletti led his side into the church. 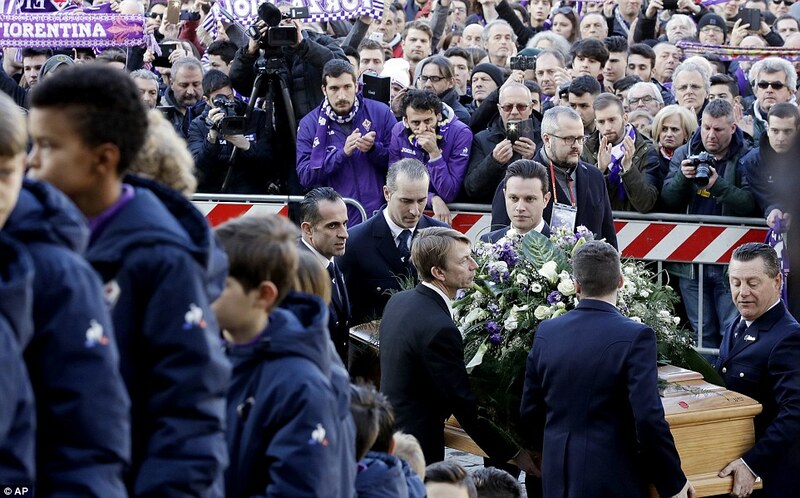 Marco van Basten, Francesco Totti and Marek Hamsik were other notable names who were there to remember Astori. 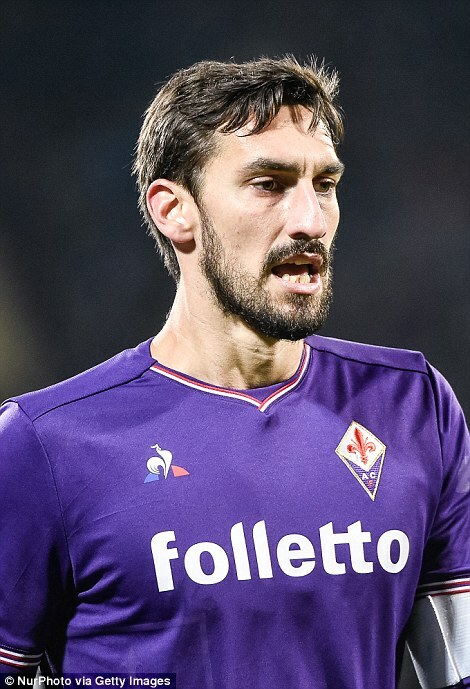 Astori started his playing career in the Milan youth academy but never played a senior match for the Rossoneri, making his Serie A debut with Cagliari in 2008. 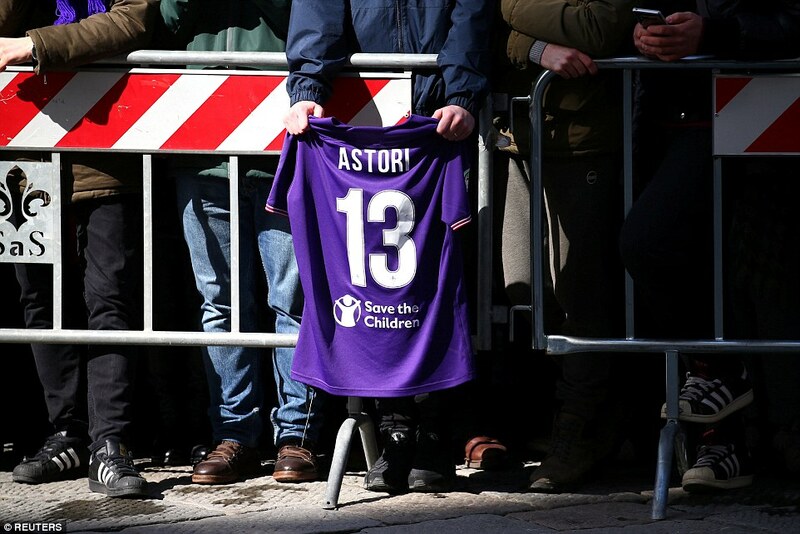 Fiorentina and Cagliari, Astori’s club between 2008 and 2016, announced on Tuesday that they had retired the No 13 shirt in honour of their former player. 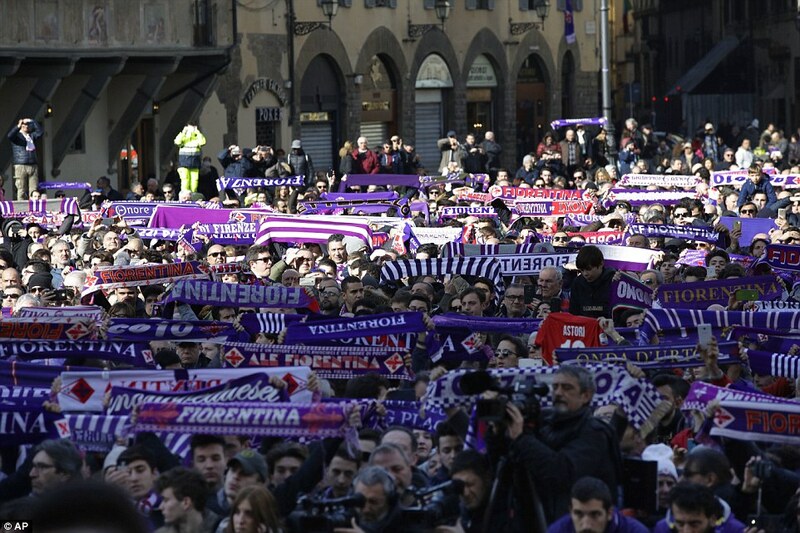 Fiorentina announced on Sunday morning that Astori had died following a ‘sudden illness’. 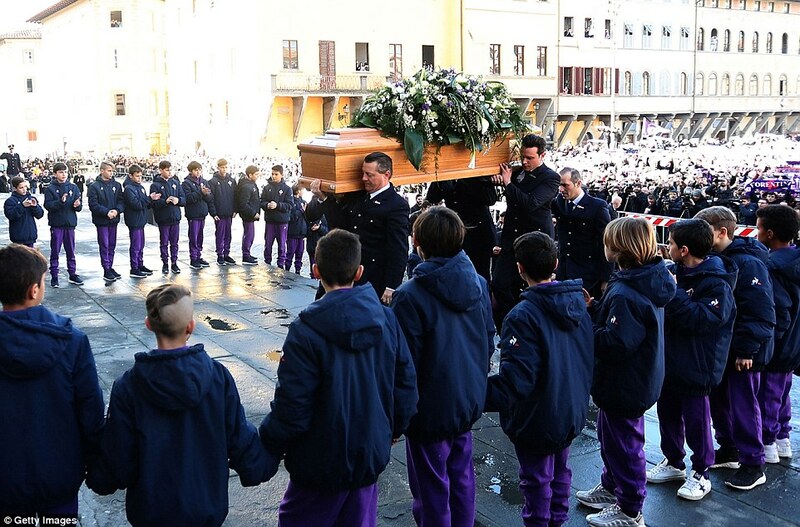 All of Sunday’s Serie A fixtures were postponed and a day later, prosecutors opened a culpable homicide case over his death. 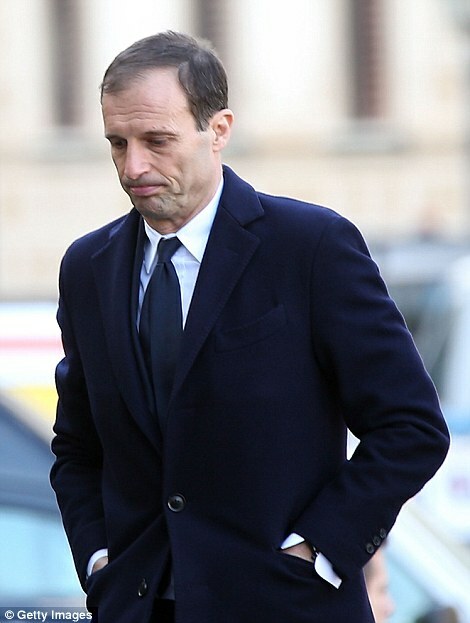 The chief prosecutor in Udine, Antonio De Nicolo, said on Monday that a culpable homicide case — which in Britain is known as manslaughter — would be opened, but that it was a formality at this stage and that ‘no one has a responsibility for anything’.